The sound of disco left no corner of the world untouched in the late 70s – and the hipper side of the dancefloor mode had an especially strong impact down in the Caribbean! Of course, that's maybe not as much of a surprise – when you consider how much back/forth action was going on between New York and the islands at the time – a rich sharing of cultural heritage that not only helped breathe great new energy into soul and funk in the US during the 70s, but also had a strong impact back home as well! 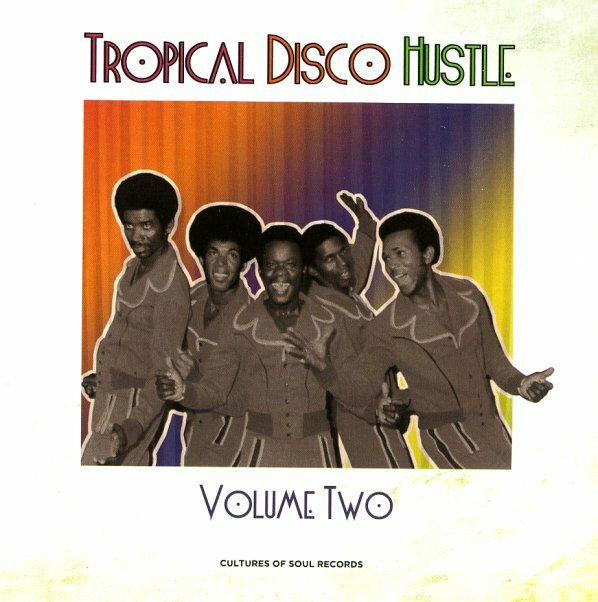 This stunning second volume of the Tropical Disco Hustle series really documents the best examples of that wonderful cultural exchange – music that carries plenty of traces of New York club, but which also brings in lots of local elements too – from styles like soca, reggae, and calypso, plus some Latin modes as well. Titles include "Music Makes The World Go Round" by The Hamilton Brothers, "Let's Party" by Tru Tones, "Socorama" by Defosto, "The Dealer" by Wild Fire, "Music Lady" by Patti Charles, "Savage" by Maestro, "My Life My Music & Me" by Keith Paul & The GT Boom Band, "Caribbean People (Waxist Selecta edit)" by C Soprann H, "Try Making Love" by Wild Fire, and "Dancing" by Tru Tones. © 1996-2019, Dusty Groove, Inc.